Café Impact is created as a response to the rising need to improve the integration process in Finland. The concept is all about facilitating free and open events for everyone, focusing on entrepreneurship, cultural exchange and building meaningful relationships. All this takes place in a relaxed café with delicacies from all over the world. The organisation behind the ambitious goal is Aalto Global Impact. It seeks sustainable opportunities and societal impact through research and education. The team has been supervised by director Teija Lehtonen and Helsinki-based Syrian entrepreneur Hani Tarabichi. The original aim was to design services so that entrepreneur-minded refugees can start companies and thus integrate more efficiently into the Finnish society. Surprisingly the research revealed that it can only be reached through two-way integration. This lead the team to look into opportunities of self-actualization through entrepreneurship in a wider context, for both locals and newcomers. Generally: learning by doing and failing safely, building on each others’ ideas of how to make the world a better place. The social network & cross-cultural events - Necessary ingredients for boosting integration of refugees. The team learnt that through building a community, including newcomers and locals, the change for a more integrated Finland becomes reality! 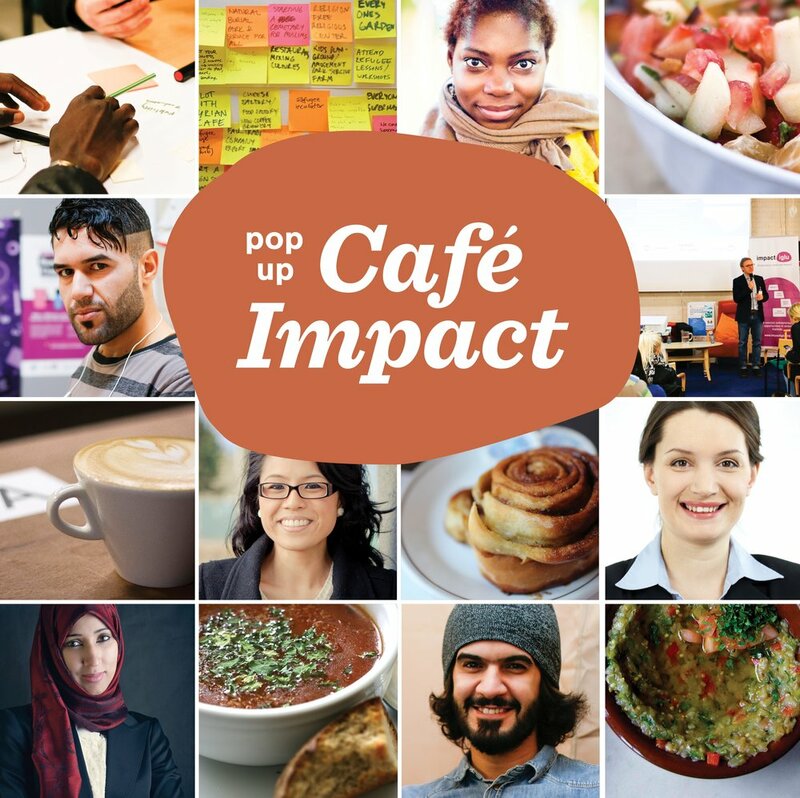 Café Impact is the perfect meeting point for locals and the newcomers to create new beginnings together!